Let me introduce to you Clever Charlotte (love the name btw). Their designs are meant to be playful and sophisticated at the same time. They are suitable for everyday activities as well as special occasions. But what makes Clever Charlotte so special is that they offer sewing 'kits' designed to take the guess work and foot work out of sewing. Today Clever Charlotte is offering 2 different patterns to two separate readers. See contest rules at bottom of post. Clever Charlotte is born out of a love of children’s wear with clean, modern designs and a love of beautiful fabric. 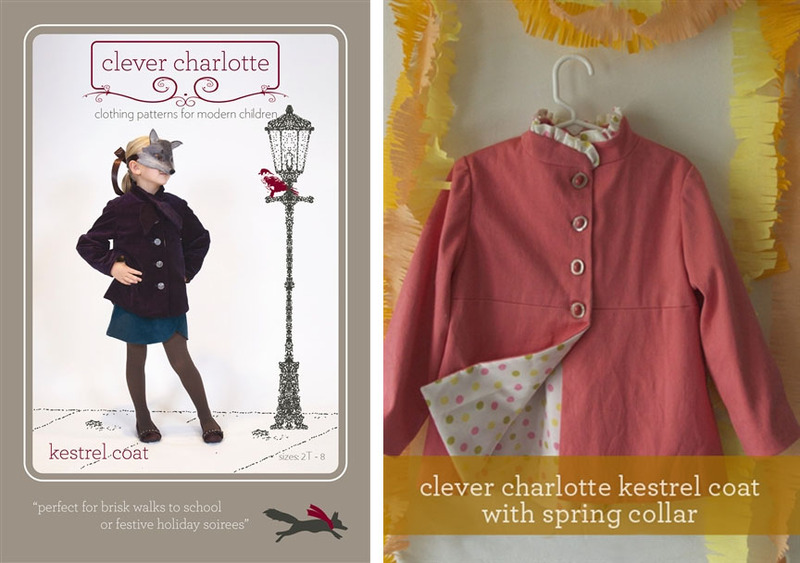 They want to inspire today’s sewers to create perfectly-styled handmade looks for their wee ones that are sure to bring compliments. This inspiration comes not only from their original sewing patterns, but also the array of fabrics and notions that they carry especially for their designs. For inspiration, their online gallery will feature more design ideas and styling options for each pattern. Purchased together with our fabrics or separately, Clever Charlotte’s original patterns will let you make trendy and unique clothes without paying boutique prices. Clever Charlotte represents modern tastes. 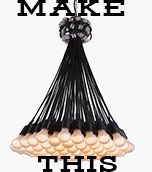 They strive to produce fashions that are rich in detail and, yet, easy to make. Their patterns cover sizes 2T-8 and are printed in full-scale on heavy tracing paper so that you can use and reuse them as many times as you wish. Take the second guessing out of buying fabric online. 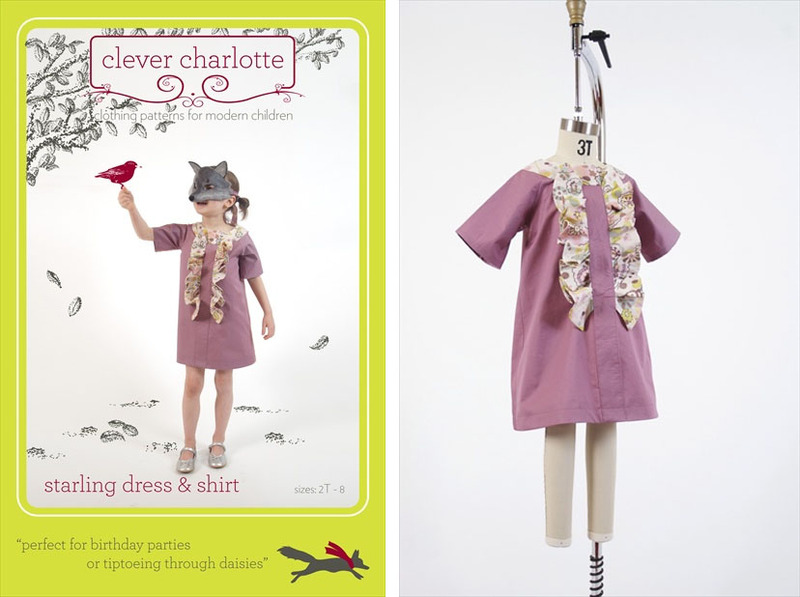 To make your sewing experience fun, streamlined and immediately rewarding, Clever Charlotte offers a one-stop source for fabrics and notions suitable for their patterns and showcased on their website. Prompted by their own frustrations of buying fabrics online for sewing projects, often from multiple sites to find the right fabric in terms of weight and color, they wanted to offer sewers the opportunity to order fabrics that are perfect for their patterns. They have taken the hard work out of selecting fabrics by presenting coordinating seasonal fabric collections that are complementary to their patterns. Their fabric selections emphasize stylish, quality apparel fabrics that are easy to sew, easy to care for, and comfortable to wear. At your option, they will be offering sewing kits to be delivered to your door with everything you need to get started sewing the minute you open the package. You choose the fabrics and any special styling options, and they’ll send the fabric and notions off to you with quick, reliable shipping at one low-price. Just remember to please leave me a comment telling me what you did so that I can go back and look for your entry. ALSO, PLEASE SPECIFY WHICH PATTERN YOU'D CHOOSE IF YOU WON! Following you. I would love the Kestrel Coat or Raven Hoodie... too hard to decide. Pinned it! I have been jonesing for a Clever Charlotte for so long!!! I love the Wren and the Raven. I love all of these, but would pick the starling dress & shirt. I follow you! 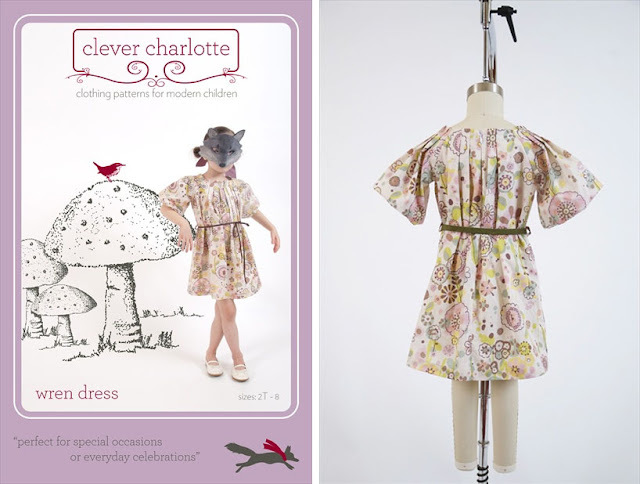 Gosh, there are SO many cute patterns--- maybe the wren dress? Or the Kestrel Coat? LOVE it! I follow you! I would choose the kestrel coat. Oh, it's so hard to choose just one, but I think I'd pick the Kestrel coat since I don't often find coat patterns I love. I'm a follower using GFC! 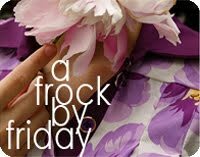 I love that Wren dress...how adorable! I would want the Kestrel Coat. I love the styling on the spring interpretation. I would have to pick the Eider Tunic! So pretty! I'm following you on friend connect. I would pick the Wren Dress and the Raven Hoodie & Pants. I really liked the boy variations of the Raven Pants! I'd pick the raven hoodie and pants, since the pants would still fit with the school uniform code in our town, but it would still be unique. Thanks for offering the giveaway. I "Liked" the giveaway on facebook. I follow you in Google reader, and I would choose the raven hoodie and pants! I follow you on google connect and I would love to have the Chickadee. I think I would choose the sandpiper capri and top, though it's incredibly difficult to pick. One of each, please! I posted this to facebook! I "liked" this on facebook! I would choose the Finch top and shorts pattern, but wow, what a hard decision! I liked this post on Facebook and I already follow you. I'd choose those lovely Finch shorts if I won! Pinned! Sandpiper definitely, love those! I follow you and like you on fb. Well, this is such a hard choice, but I would love the starling dress&shirt. Follow you in my Google Reader. I pinned this, and I'm already a google reader follower. The sandpiper capri and top are super cute, that would be my pick! I follow you! and I would love the sandpiper capri and top pattern! I "like" this on FB! and I would love the sandpiper capri and top pattern! I pinned. If I won, I think I'd go with the Eider Tunic for my little lady. I pinned it and I liked it on facebook. My daughter's name is Charlotte and she is very clever. I think I would pick the wren dress or the shorts! I love the sandpiper capri and top, and of, course, I'm following you. I love the chickadee blouse. I'm following you on FB. the kestral coat is adorable! I am a follower! Oh, love the idea! I would love to be able to buy the correct fabric with the pattern. Very clever! I'd have to choose the finch top and shorts. 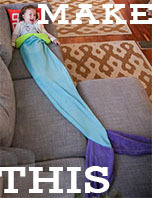 My little girl would be adorable in that. I have been following you for a while now. Thanks for an awesome giveaway! I'm a follower and adore the Sandpiper Capri and Top. follow you! and I need that finch top and shorts! I'm a follower. Have been for a long time. Didn't you know, its a must read?! Link is now posted on my blog. And I was happy to do so, these patterns are adorable! 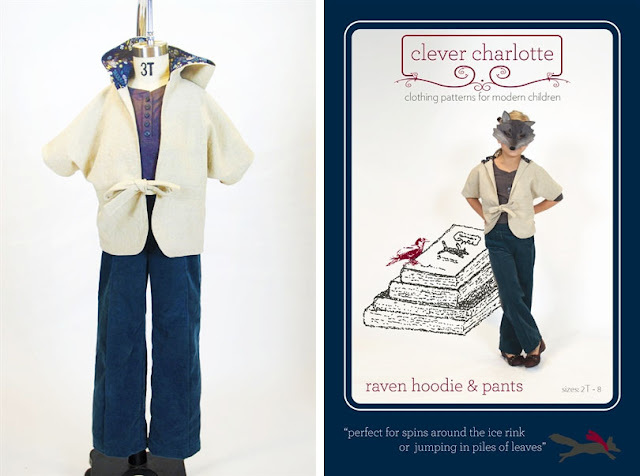 I want to make the Raven hoodie and pants for my grandaughter. That hoodie is so cute! Oh and I have pinned you on my pinterest page! I just love the Finch top & shorts. I like the Finch shorts. I follow via RSS - I'd looove to win the sandpiper pattern - that top looks perfect for summertime. Thanks for the giveaway! I love the Raven Hoodie and Pants. My granddaughter would love this outfit. pas trop d'espoir que le kdo travers l'atlantique… mais j'ai épinglé le pantalon sandpiper caprin! Voilà un projet de couture bien original! tant pis, je ferai le patron moi même… on ne copie que ce qui génial!!! The sandpiper top is a dream. I liked. I follow you, and I pinned it! 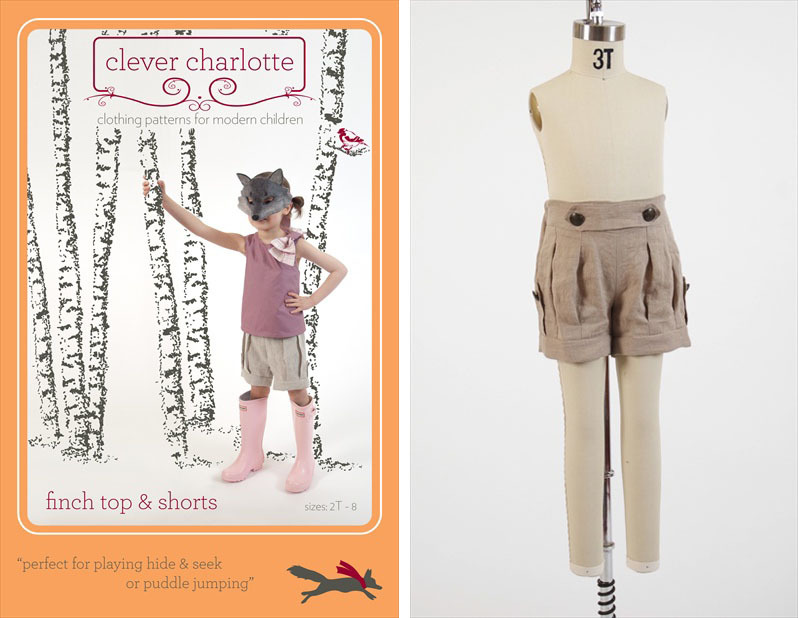 I would lov to make the finch top and shorts! I like the kestral coat and the chickadee blouse. I wish they had these in adult sizes!!! 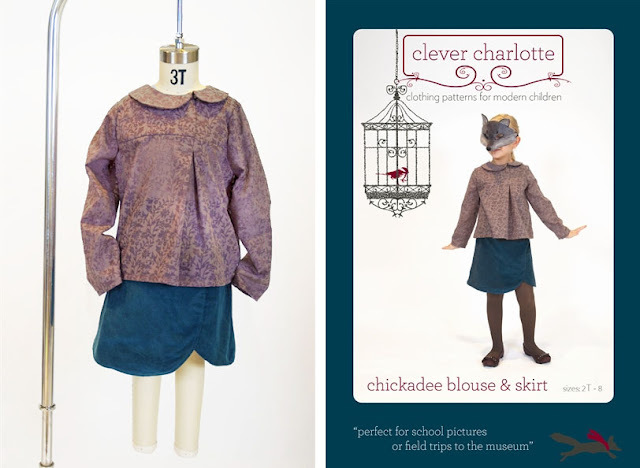 I pinned it and I'd love to make the chickadee blouse and skirt for my girls! following! chickadee or kestral...hard to decide. Following you! Chickadee or Kendrell or Sandpiper. SO hard to choose! I liked this post on facebook :) I love the kestrel coat! I pinned on Pintrest (Carrie Briscoe). I adore everything Clever Charlotte BTW. Hard to choose, but I'd probably pick the Chickadee Blouse and Skirt pattern! I follow you. What a hard choice - I think that I'd choose the Raven, though. I posted a link to the contest on Facebook after seeing my sister's post. 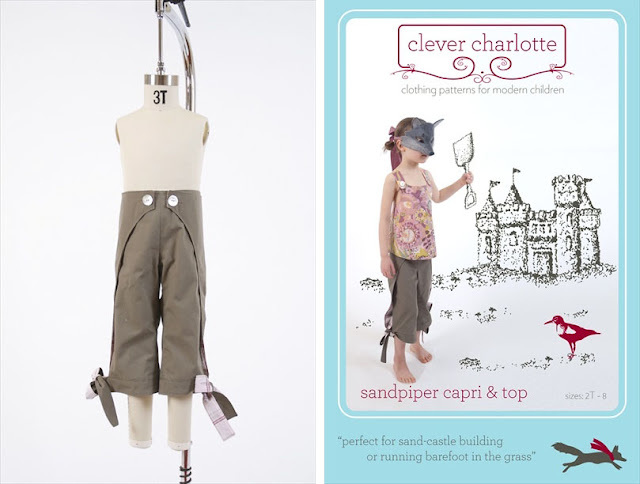 I would pick the sandpiper capris. I love these designs! I want that Sandpiper capri and top pattern. I follow you via RSS. I love the sandpiper capri and top! And I follow you! Follow you via RSS feed. 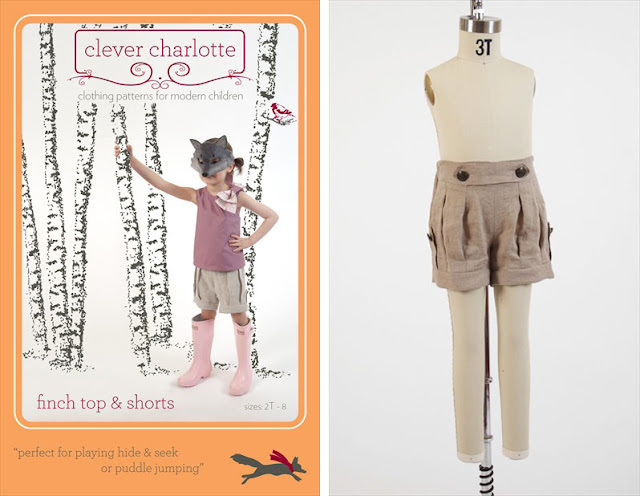 Would love to make those Finch Shorts for my girls for summer. Super cute! I signed up for your RSS feed. I love the Raven Hoodie! I signed up for your RSS feed. I would choose the raven jacket! I L.O.V.E. these patterns. Thank you for introducing me to them! 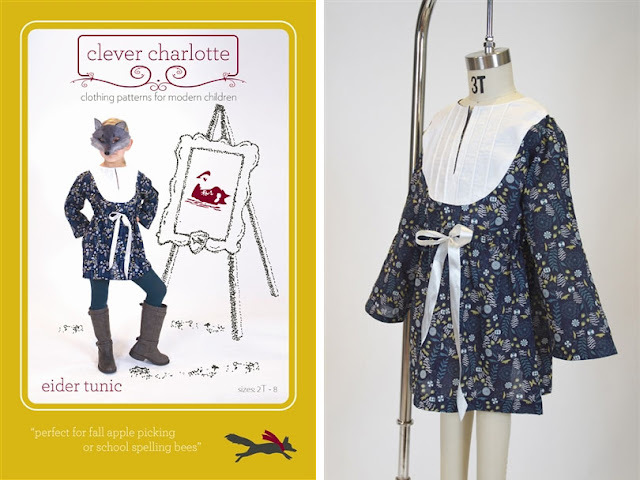 liked on fb....i love the eider tunic! I've pinned this on my sewing board (Eva Fernandez). I'd love the wren dress or kestrel coat! I pinned it. I love the Wren dress. I pinned you on pinterest. I would totally love the wren dress. 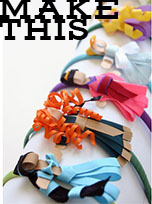 I pinned you at pinterest, totally would love to have the wren dress. HI there - great patterns!!! I pinned you on pintrest and I would like to be the winner of the finch top and shorts!!! crossing my fingers - in the meantime: GREAT WORK!! I pinned this post in my Pinterest. I have followed your blog for a long time now. I've had my eye on the Finch top and shorts for the better part of the year, and would love to win it! I liked this post and the patterns on FB. Thanks for the great give away! Wonderful outfits, my daughters will love them! Pinned it! Hard choice, but I love the Kestral coat! Hi! probably too late for the giveaway but just thought I'd say I follow your blog on Google Reader and I love all the Clever Charlotte patterns... I thin the favourite today is the Kestral Coat. I follow via Google Rss. Thanks! I pinned those fantastic finch shorts! I just pinned this post. What a great line of patterns that I wasn't familiar with. I would want to start with the Finch Top and Shorts Pattern. Lovely patterens! I 'liked' this with facebook. The Sandpiper pattern is super cute. I pinned. I really like the Raven Hoodie and pants, the Wren Dress, and the Eider Tunic. I follow you and have a link on my blog. I'm leaning toward the Raven, if I were lucky enough to win! Nice blog, i like your blog, you can buy latest Printed Kurti from paris sarees. Oh, Finch, please! I'm pinning you Right Now! Thanks!